For the second consecutive year, Grenada’s yachting products were promoted at the 51st Toronto International Boat Show in Canada from 10 to 18 January. The delegation included Ms Dawne Francois, the Grenada Tourism Authority’s Director of Sales and Promotion for Canada, and Ms Jacqueline Pascall and Mr James Pascall of Horizon Yacht Charters. Grenada was one of the 7 countries that made up the Eastern Caribbean village, funded by the Organisation of Eastern Caribbean States. The Grenadian booth became very popular with its samples of locally-made confectionaries, branded giveaways, and captivating destination videos. 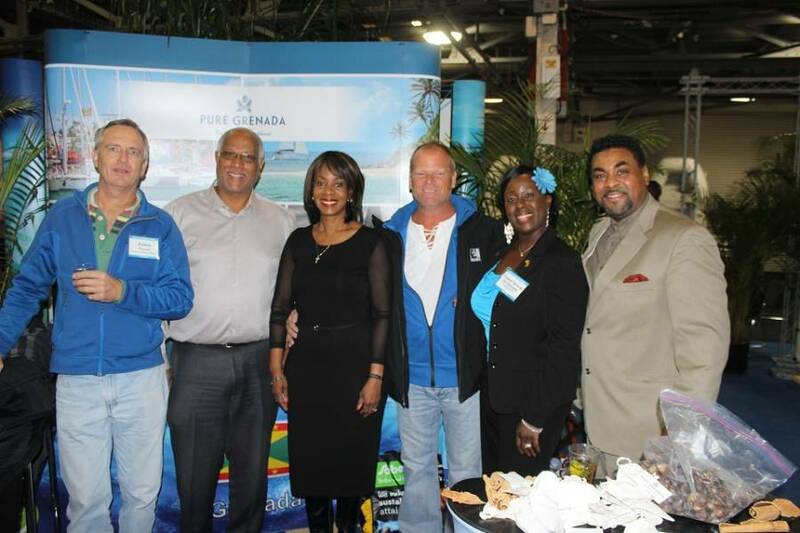 “Over 5,000 visitors interacted with us, many of whom already knew of Grenada as a yachting and holiday destination. There were many cruisers and sailors who made bookings to Grenada for 2015 and 2016. It was noteworthy that business propositions not only came from show-attendees, but also show-exhibitors,” remarked Ms Francois. This business to business and business to consumer indoor boat show attracts yacht brokers, sellers, buyers, boat enthusiasts and journalists while offering skills training seminars, new product introductions, and networking opportunities. The Grenada Tourism Authority recognises the value of its 130 million yachting sector and continues to collaborate with stakeholders to develop and promote Pure Grenada – the Spice of the Caribbean.